Principals are the heads of any school or educational institutes. Managing from students to teaching staffs and non-teaching staffs is solely handled by the head master of the school. Principals in Indian schools are said to be underpaid unlike other countries. Though some of the private schools have high pay scales for the head of the schools, still they are not high as the Government organisation. In recent past it has been seen that despite having higher salaries in Government schools, the salary does not arrive on time. Principals or the teachers, everyone has to wait for ages to receive the salary. On the contrary, the private schools are quite different. While talking about the principal salary scale we must consider the current status of different schools in the country. Private schools are generally running by a private company or a group of companies. These schools offer lower salary to the head masters compare to the Government schools. Not only the type of school but the pay scale of the principals hugely depends on his/her experience and education. Obviously to become a head of any educational institute one must be enough educated. However the main thing that makes the difference is the years of experience the principals have. On an average a candidate who has more than 20 years of experience gets paid 6 lakhs per annum. On an average a candidate who has less than 5 years of experience gets salary of nearly 4.5 lakhs per annum. Also the pay scale of the principals depends on educational degrees like PGT or PRT. These educational qualifications have huge demand in private as well as Government schools. A lot of people think that private organisations offer higher pay scale than governmental organisation. It is true in some sense but in case of educational institutes the case is somewhere different. Public schools or Government schools are managed by the Government of the respective state or central boards. The pay scale of the government schools also depend on the educational background and mainly on the years of experience. In a Government school if a candidate has more than 20 years of experience he/she receives more than 8 lakhs yearly. On the other if a candidate has less than 5 years of experience he or she will get nearly 6 lakhs per annum. So the pay scale for the principals of government school is much higher than the former. In India pay scale of an experienced principal is similar to a computer engineer. So like other professionals in India principals too have high pay scale. 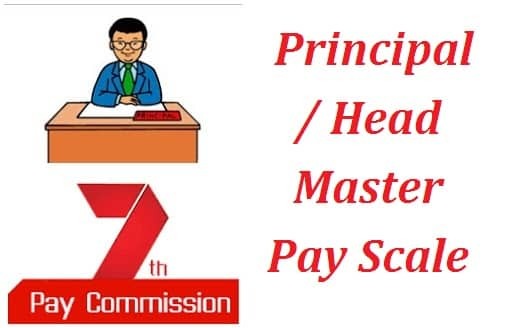 On an average a principal / head master of a secondary school get a salary of Rs. 4.5 lakhs per annum and a principal / head master of a high school in India get Rs. 6 lakhs per annum. This numbers are just average figures, the numbers can vary from organisation to organisation. Sometimes depending on the location and type of schools the salary gets different. City schools have different pay scale than rural schools and special schools for special students and such.